New pricing models such as tiered and time-of-use complicate determination of electricity costs. Our smart EV charger integrates cost and real-time consumption information to flexibly adapt to the needs of users, utilities and service providers. 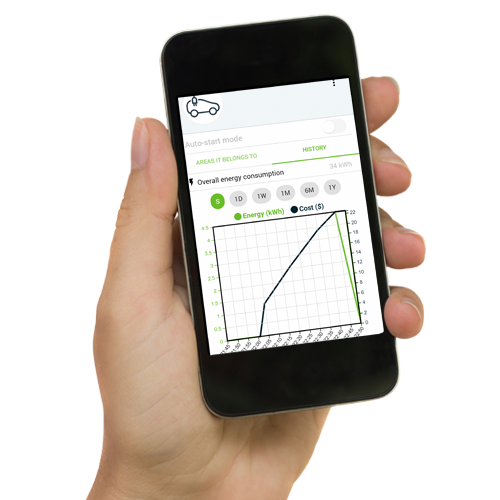 This solution allows control, scheduling, and measurement of the energy consumption and cost of charging sessions, and is ideally suited for managing multi-vehicle charging. 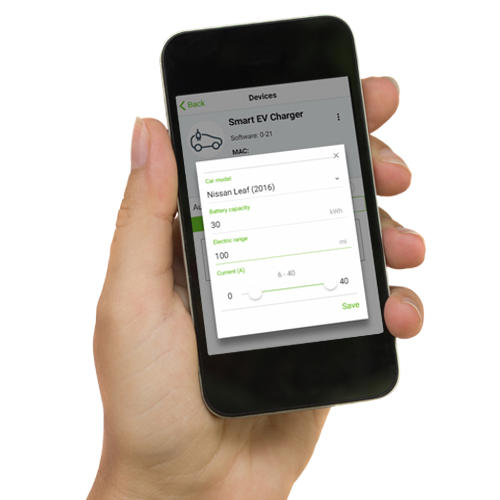 Our SmartElek EV Charger is a smart Level 1 / Level 2 EV charger capable of wireless monitoring and control of the vehicle charging session, from plugin, authorization, and charging start, through plugout or end of charge. A Harmony G2 gateway communicates locally with the SmartElek and optionally with our cloud service via Ethernet, WiFi or cellular to access the EV charger from anywhere through our app via a smartphone, tablet or PC. 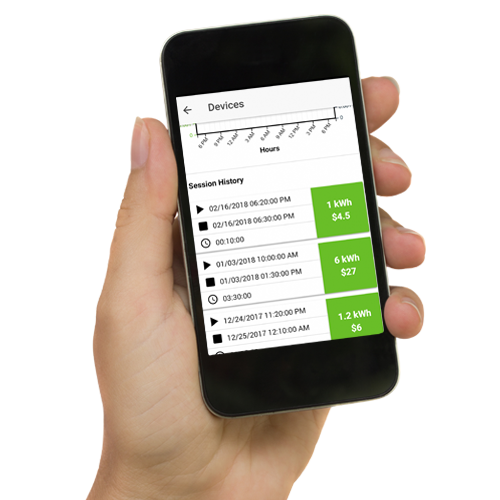 Our SmartElek uses ZigBee 3.0 as its default connectivity, and versions are available for WiFi and 4G cellular. A charging session is started based on schedules set by the user, the plug-in state of the vehicle and other factors such as optional electricity provider demand response programs. The maximum allowed current for a session can also be programmed to simultaneously charge multiple vehicles with a limited service circuit. Even waking up to an uncharged vehicle can be avoided by enabling a notification when a charge is scheduled but the vehicle was not plugged in. If you would like to evaluate this as an out-of-the-box reference solution, we have a kit that bundles our SmartElek, our Harmony G2 gateway, and the Smartenit App ready to go. Please contact us for more details. 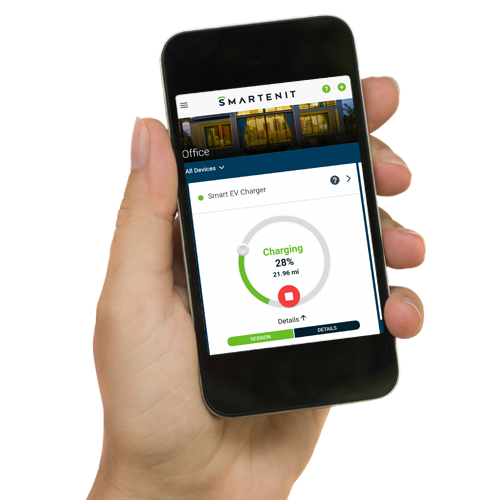 Access the SmartElek from a smart phone, tablet or PC to check consumption and cost, set schedules and to participate in utility programs. Enjoy lower rates from a utility, and the peace of mind of having the car fully charged when needed. Offer Demand Response programs based on frequency, consumption and TOU rates. 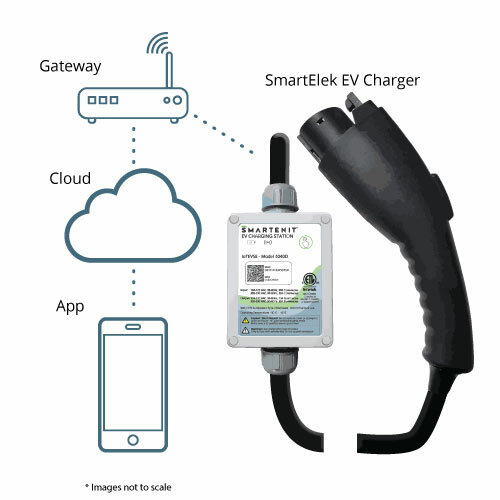 The Smartenit SmartElek controller provides total insight into the EVSE parameters including the charge session state, instantaneous demand, voltage, current, frequency, etc. Chose your connectivity, either through the premise’s broadband, or with a dedicated cellular connection. We offer enough flexibility whether managing a home, set of apartments, rural setting, or large campus.